Once this error arises, the initial step is to perform what is displayed on the error message, i.e., Restart Outlook. 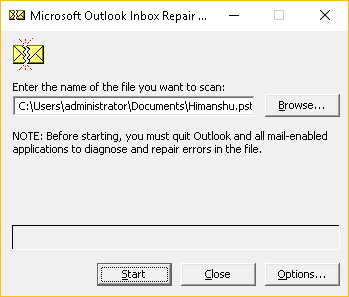 However, even after restarting the Outlook, the same error persists; you need to work on other alternatives. The default delivery location is set to Personal Folders (.PST) file and you are using Offline Folder (.OST) file. The message is modified once you save the copy if drafts folder. Forwarded message in Outlook Rick Text Format includes an attachment. Either the message is sent or saved by clicking on Save on the File menu. This is the very first step to follow the written as directed. If the error is based on the internal interface of Outlook, then the issue will be resolved automatically. this option arises when the files get corrupt or damaged. 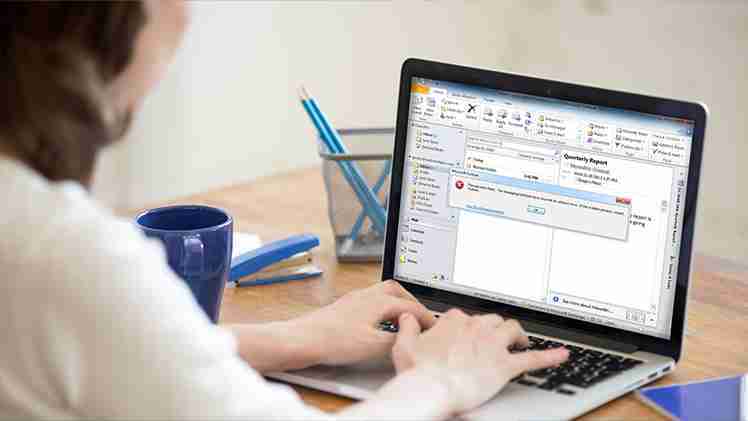 The error can be fixed by using the free utility of MS Outlook of running Inbox Repair Tool. To run this tool, you need to run Scanpst.exe on your system which varies with different versions of Outlook and Windows. For Outlook 2016, Inbox Repair Tool is located: C:\\Program Files\Microsoft Office\Office16. Once the scanpst.exe is located, select the PST file for repair, and if the error message was al because of the corrupt PST files, then the issue will not persist again. Recoveryfix for Outlook PST Repair is one such third party tool that works primarily to repair corrupt PST files, make them accessible in Outlook and even splits them further into smaller and manageable parts to prevent the issue of exceeding the PST file storage limit. The best available option to resolve, “The messaging interface has returned an unknown error” is to either restart the Outlook or change the Outlook settings. However, when the situations come that no other alternative is available and to prevent time, third party tools are the best solutions.